Nice to know MHSRV doesn’t have hidden fees or a large doc fee. Great work by Chris to get us a great interest rate. Nolan was helpful and available. The MHSRV website is also very helpful. 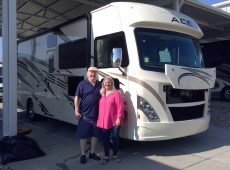 We purchased a 2019 Bounder and really like the satellite, cabinetry, paint quality and solar capabilities in the new RV. 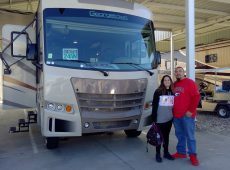 Our closing experience was great – thank you to a great team – Don, Juan, Chris and the cleaning crew . 5 stars overall! 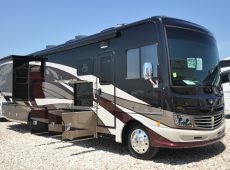 Great prices and a beautiful selection of quality RVs at Motor Home Specialist. 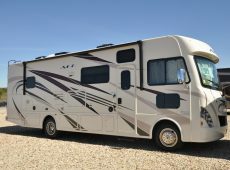 We will definitely recommend Motor Home Specialist to everyone. 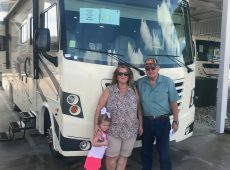 Excellent customer service from everyone we met and great inventory at MHS. 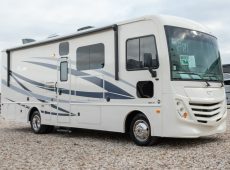 Great prices and an excellent selection of quality motorhomes. The sales process with John was excellent and Roy did an excellent walk through. We will definitely recommend MHS to family and friends. MSHRV had what we wanted. 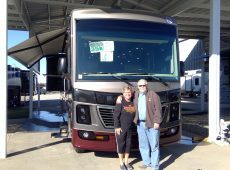 They offered good prices, good quality RV’s, and really good service. 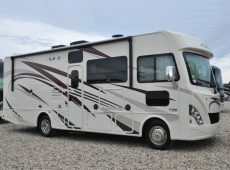 Of all the features, the Thor Axis has to offer, we especially like the floor plan and color of this RV. 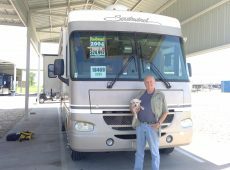 We worked with Buck Buckner and he made the sales process really good. 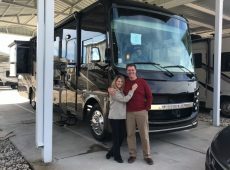 Great experience – Great people! 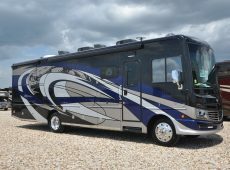 Excellent prices, a great selection, and great quality of service at Motor Home Specialist. Rodney and Travis were excellent to work with. We found the MHS website very beneficial as well. Don Jones and Omar went above and beyond to make sure we were taken care of and explained everything. Thanks! 5 Stars for both Don and Omar. 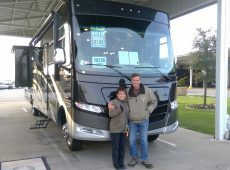 We really liked the good inventory selection at Motor Home Specialist. 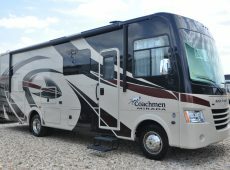 We purchased a Thor Axis and especially like the size and space of the coach. Excellent service at MHS. 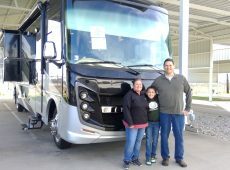 We will be sure to tell friends and family about this business. Good process all the way through. Mark Henry and Brandon Neal were very helpful and guided us through it all. 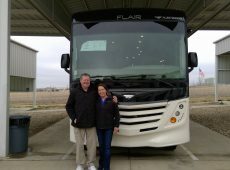 We ended up purchasing a Fleetwood Flair and especially like the dual A/C, king bed, captain’s chairs, and outside kitchen and TV. 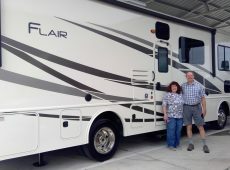 We will be referrals of Motor Home Specialist. 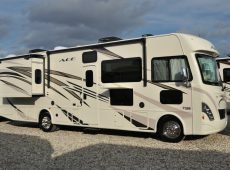 I decided to purchase a Class A Thor ACE t Motor Home Specialist because I was wanting to travel and work remotely. 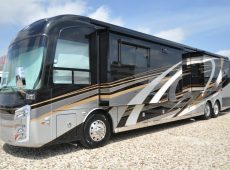 Prices here are terrific and so is the quality of RVs they have for sale! 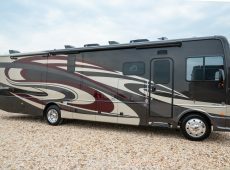 What I like most about the new RV is that it’s pet friendly, has clean lines and is spacious. 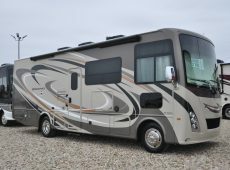 I really found the website, calculators, videos and photos helpful when making my decision to purchase here. 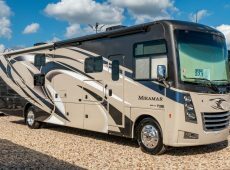 5 stars and excellent service at MHSRV. Would come back but it will be awhile. Great place to do business. 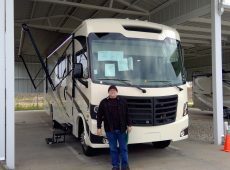 I am a return customer and came back to Motor Home Specialist because of the great customer service. Prices are better than others. 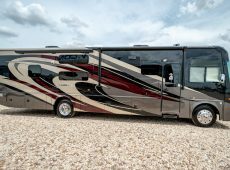 I ended up purchasing a Thor Windsport and really like the space and storage. Brandon in sales made things simple. Steven was very informative during the final walk through. 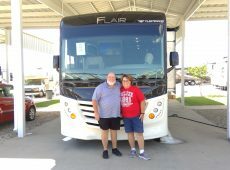 Again, great service overall at Motor Home Specialist. Everyone we dealt with gave us the best experience that we could expect. All were very good at what they do. 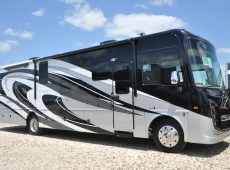 Very competitive prices and an excellent selection of quality coaches at MHSRV. Nolan and Travis were both excellent doing business with. We also found the website to be very helpful. 5 stars for MHS. You guys rock! 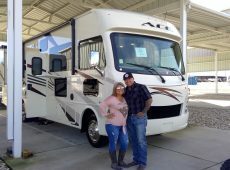 We went with MHS because of their selection and price! They offer great prices and excellent coaches! 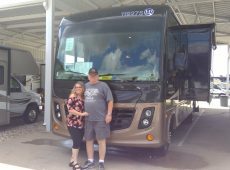 We purchased a Forest River Georgetown and especially like the living room space and quality of the coach. 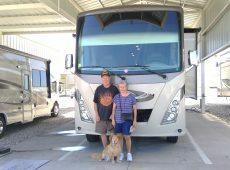 Jordan Buckley was our salesperson and he made the sales process very easy! 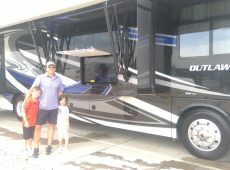 Chris delivered a very educational walk through on our new RV. 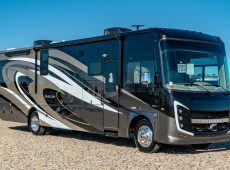 The best service at Motor Home Specialist! 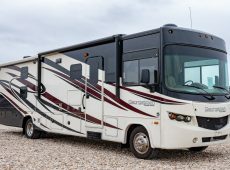 The RV that fit my needs was here at Motor Home Specialist. 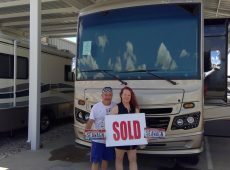 Justin was honest and had a smooth sales delivery. 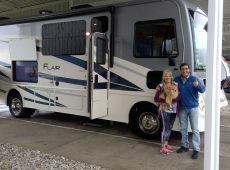 5 stars for Roy who completed the final walk through on my new Fleetwood Bounder. Overall this has been a very easy process for me. The MHS have been kind and very helpful. I have already referred people to MHS and will continue to do so. Thank you! 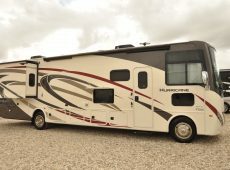 We purchased a Thor Motor Coach Hurricane at Motor Home Specialist and really like the prices at this location. 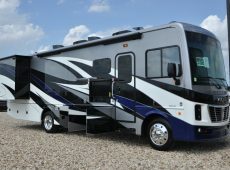 We especially like the kitchen and bathroom counter space in the new RV. MHSRV has an excellent selection of quality coaches. Brandon Neal in sales was great to work with and Chris did a great walk through. It’s nice that things are stocked and on concrete. 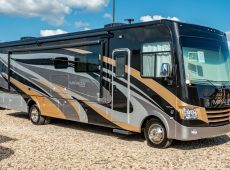 Everything is clean at Motor Home Specialist. 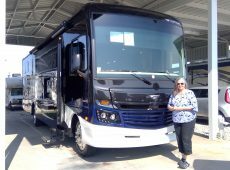 We came to MHS for the good price on the available 18 Fleetwood Bounder we were looking for. 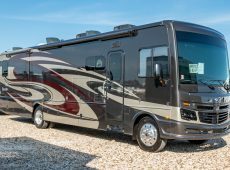 The amenities of this RV for the price is better than most dealerships have to offer. 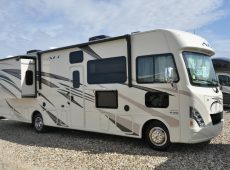 Our RV was equipped with a washer and dryer, oven, king ben, tile bathroom and slide with roominess. 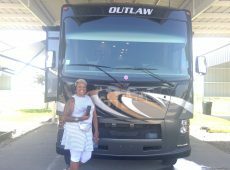 Thanks for allowing us to camp on your site! The covered transferring of old to new coach was definitely a plus! 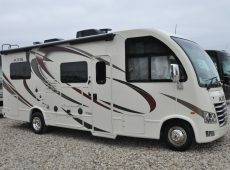 MHS has a great selection of RVs and their website has a lot of great information on it. I also really appreciated the inspection process. 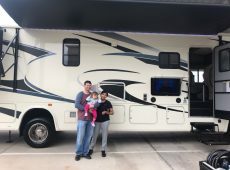 John and Arturo were great and made the sales process super easy.